Training sessions are March 4, 11, 18 and 25 from 4-7:00 p.m. in SVCC's Adult Education Department, Rm 1J1. Participants must attend all sessions, but arrangements to complete sessions online will be accommodated for those who cannot attend all in person. 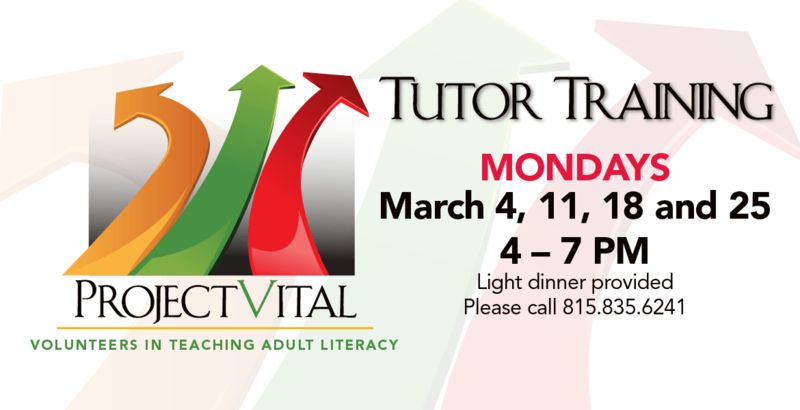 Don't have past tutoring experience? No problem! A free light dinner is included for training participants. Tutors must be 18 years or older and have a GED or high school diploma. To sign up for training, or for questions, please contact Laura Moreno, laura.m.moreno@svcc.edu, 815-835-6241.